Who among us has never felt frustration with a deadline? Chemical Watch reports that companies working toward the REACH 2018 deadline are experiencing plenty of frustration, according to trade organizations. Companies that have already submitted dossiers find that it’s hard to keep up with the necessary updates for those dossiers when they are, first, still receiving requests for more information, and second, trying to get REACH 2018 substances registered. ECHA started off with reminders to companies which had failed to provide complete dossiers because the required tests were not yet completed when they registered. The companies were given a new deadline and ECHA provided support for completion of the dossiers. They’re pleased to report that only one registrations was revoked, out of 140 requests. They tried a second campaign focusing on invalid data waivers and once again had to revoke only one registration. ECHA sees these campaigns as successful, and is continuing to reach out to groups of companies with these requests. They have similar campaigns planned into the future. But companies receiving these requests are having trouble managing both the updates on their already-submitted dossiers and preparation for the REACH 2018 deadline. It isn’t only incomplete or contested dossiers that have to be kept up to date. All dossiers must be updated whenever new information becomes available. With the REACH2018 deadline approaching, companies concentrating on the 2018 deadline are perhaps naturally not thinking about their completed registrations. At the same time, many smaller companies are still not aware that they need to register substances, according to trade organizations. As these companies enter and join existing SEIFs, dossiers will have to be updated, cost sharing will have to be adjusted, and labs may be stretched thin responding to testing needs. The demands of REACH 2018 are expected to become more challenging as the deadline comes closer… increasing the challenges of keeping current registration dossiers up to date. Automating parts of the process and keeping data in order can reduce the time required to keep dossiers current. 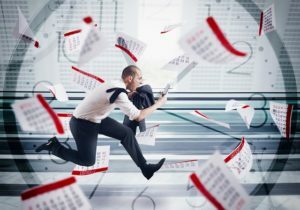 Are you still relying on paper, files distributed among multiples computers, and email to track your progress? That approach is slow. What’s more, keeping information up to date requires multiple contacts and lots of searching. Switch to chemical regulation project management software and see the change in efficiency, speed, and stress reduction. Try EUPHOR — it’s designed to manage all chemical compliance software, up to the next deadline and beyond.